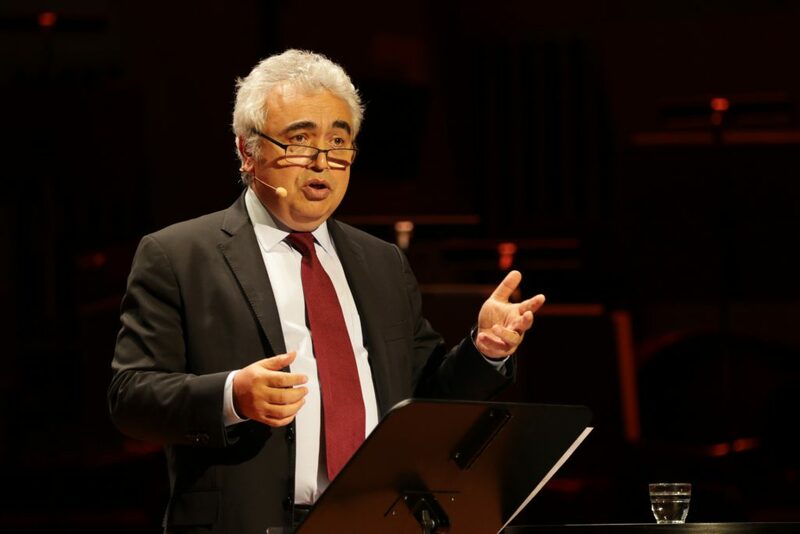 The International Energy Agency (IEA) and Mission Innovation (MI) intend to address their shared goal of accelerating global clean energy innovation through enhanced collaboration. Building on the strong foundations of their existing relationship, the Letter of Intent on MI-IEA Cooperation signed at the third Mission Innovation Ministerial (MI-3) identifies five main areas of collaboration. Since the launch of MI in 2015, the IEA and MI have worked closely together, including on enhancing data collection on both government and private sector spending on clean energy research and innovation as well as through collaboration on the activities of the Innovation Challenges (ICs). IEA representatives have attended all three MI Ministerial meetings held to date and at the 3rd Ministerial meeting the Executive Director, Dr Fatih Birol, presented the key findings of the IEA’s Tracking Clean Energy Progress (TCEP) in the Opening Ceremony and closed-door Ministerial meeting. 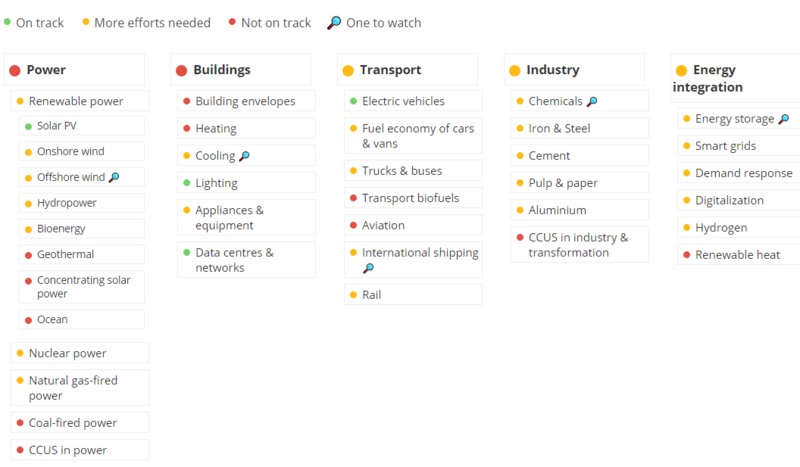 The TCEP is a newly enhanced, interactive web portal that assesses the latest progress made by key energy technologies, and how quickly each technology is moving towards the goals of the IEA’s Sustainable Development Scenario. Dr Birol reported that while some technologies have made significant progress in deployment in 2017, particularly solar PV, LEDs and EVs, most require further efforts and many are far off track. Energy efficiency improvements have slowed and progress on key technologies like carbon capture and storage remains stalled. Given the order of magnitude of the challenge of meeting the Paris Agreement goals, a wide variety of clean energy technologies need to advance, and Dr Birol expressed satisfaction for the range of opportunities to accelerate innovation under the collaboration between IEA and MI. The existing collaboration between the IEA and MI is already yielding results under Pillar 3. The co-leads of the Affordable Heating and Cooling of Buildings IC (IC7) and two of the IEA’s TCPs launched the Comfort and Climate Box at the MI Solutions Summit at the 3rd MI Ministerial. The aim is to construct an integrated heating and cooling solution that can be used by various types of residential buildings all over the world. Under Pillar 1 the IEA and MI will work together to improve the consistency, coherence and timeliness of information on both public and private clean-energy RD&D at the national level. The IEA Secretariat has been tracking IEA members’ yearly public spending on energy RD&D for several decades and since 2016 MI members’ have also been asked to provide this data linked to their MI baseline and doubling commitment which is captured in the Country Highlights. On 22 May, the MI Secretariat, the IEA and European Commission Joint Research Centre ran a joint workshop to enhance the collection and understanding of data on public and private spending on energy RD&D. Key recommendations from this event will be built into MI’s work on improving the tracking of clean energy innovation spending. Furthermore, the IEA is working with the Indian government to analyse opportunities to accelerate the RD&D of clean energy technologies in India. As a first step, the collaboration focuses on improving the generation of reliable, accurate and timely data on public sector investments and policy measures to support energy innovation in India and around the world. The approach will then be expanded to the private sector. The enhanced data will be used to support policy makers in their assessment of effective policies in relation to targets, including the MI doubling target. The IEA stands ready to expand this collaboration to other MI members. The IEA’s TCEP and Technology Roadmaps will be used in Pillar 2 to identify key long-term technology innovation gaps within different sectors and technologies and propose measures to further scale up technology development and uptake. In his address at MI-3, Dr Birol pointed to the investment opportunities the 100+ key technology gaps identified in the IEA Innovation Tracking Framework represent. These are opportunities that could be exploited through public and/or private sector investment. We will report on activity under Pillars 4 and 5 in a future edition of the newsletter. Please contact Simone Landolina or the MI Secretariat for more information on the IEA/MI collaboration and opportunities to get involved.